Recently, a train hit a car in Westminster, Maryland at the intersection of Route 27 and Winters Street at night, and a woman was injured and taken to the shock trauma department of a hospital. The conductor sounded its horn, and the train signal was activated. The train hit the passenger side and dragged it for a while before stopping near Main Street. Train accidents tend to have more devastating consequences than car accidents due to the weight and high speed of trains. According to the Federal Highway Administration, train accidents happen every two hours in this country. Accidents often happen because of two trains colliding, derailment, collision with a smaller vehicle such as a car or motorcycle or bus, a mechanical failure, dated tracks, or conductor negligence. Derailment sometimes results in derailment accidents, which can result in many injuries. 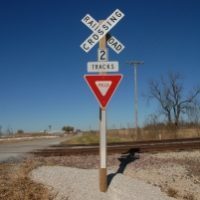 One of the most common types of accidents is an accident at a railroad crossing. Over 80% of crossings in America do not have adequate warnings for cars and pedestrians. Sometimes collisions happen because signals on the track are not working. If this is the result of railroad negligence, the railroad will be held responsible for any resulting injuries. On the other hand, if the signal is defective, it may be possible to hold the manufacturer of the signal responsible. If you are hurt in a train accident, you may need to retain an experienced personal injury to help you prove negligence. You will need to show the railroad corporation’s duty, the breach of duty, that the breach actually and proximately caused your injuries, and actual damages. If a statute exists to satisfy these four requirements, the railroad corporation’s duty is prescribed by statute. You will only have to show the defendant corporation violated the rule and the violation proximately caused the injury. Proving these two elements will be evidence of negligence. Maryland is one of the few jurisdictions that use contributory negligence rather than comparative negligence. In states that use comparative negligence, fault is apportioned between the accident victim and the defendant when both are partially at fault. In states that follow contributory negligence, however, if the jury believes the plaintiff is 1% or more at fault, he or she is completely barred from recovering damages. Maryland also follows the “last clear chance” doctrine. This allows a plaintiff who would otherwise be barred by contributory negligence to recover if the defendant had the “last clear chance” to avoid the accident. The elements that must be proved to show the last clear chance are that the defendant had knowledge that continuing with a particular course of action would result in an injury, the plaintiff could not reasonably be expected to avoid it, the defendant had that knowledge in time to avoid hurting the plaintiff, and the defendant failed to do so and caused injury. In other words, even if the plaintiff was 1% or more negligent, if there is something new that gives the defendant an opportunity to avert harm to the plaintiff, the defendant will be held responsible for any harm that does occur. Thus, for example, if the plaintiff is stopped in a car at a crossing and is 10% negligent for staying in the car to try to drive it off the tracks instead of getting out in time to wholly avoid the accident, and the train conductor has an opportunity to stop in time to avoid harm to the plaintiff but fails to do so because of exhaustion or distraction, the plaintiff may be able to recover under the last clear chance doctrine. If you are hurt in a train accident, you should consult with an experienced Maryland personal injury attorney as soon as possible. Contact the attorneys of Steinhardt, Siskind and Lieberman at (866) 902-4111 or via our online form. We can help you investigate all possible avenues of relief.